Iranian ministry spokesman Foreign Minister Bahram Qasemi quoted the Fars agency as saying that the United States imposed sanctions on Iran and pressured other countries to avoid economic relations with the Islamic Republic, and "sanctions and pressures are exactly the opposite of the dialogue." The Head of the Strategic Council for External Relations, Kamal Kharrazi, said that "on the basis of our unpleasant experiences in the negotiations with America and the US officials' violation of the commitments made, it is natural not to see any value in its proposal" (Trump's) 19659004] Kharrazi argued that the US president "should first compensate for the withdrawal from the nuclear agreement and demonstrate compliance with the commitments before its successors and international law. " Ali Motahari, deputy chairman of the Tehran parliament, said that a negotiation with Trump under the current conditions" would be a humiliation. " Motahari, considered moderate, told the official news agency IRNA, taken over by Agerpres, that "if Trump had not withdrawn from the nuclear agreement and would not have imposed sanctions on Iran, negotiations with America would have been no problem." 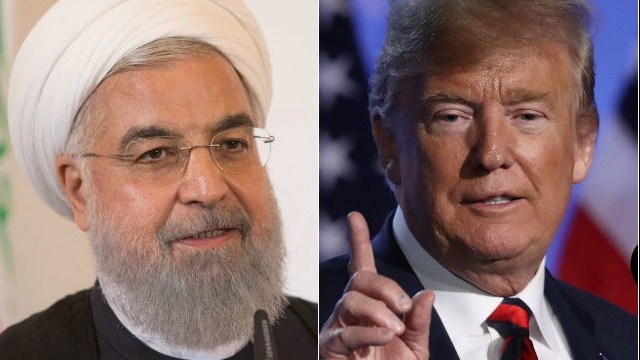 US President Donald Trump suggested on Tuesday evening that Iran would "soon" accept talks with the US, despite the fact that Tehran leaders seemed to reject Trump's offer for a meeting with his Iranian counterpart, Hassan Rouhani, "
" I feel that they will soon discuss with us, "Trump said at a rally in Tampa, Florida, adding:" And maybe not, and that's good. "